Are you ready for Halloween? 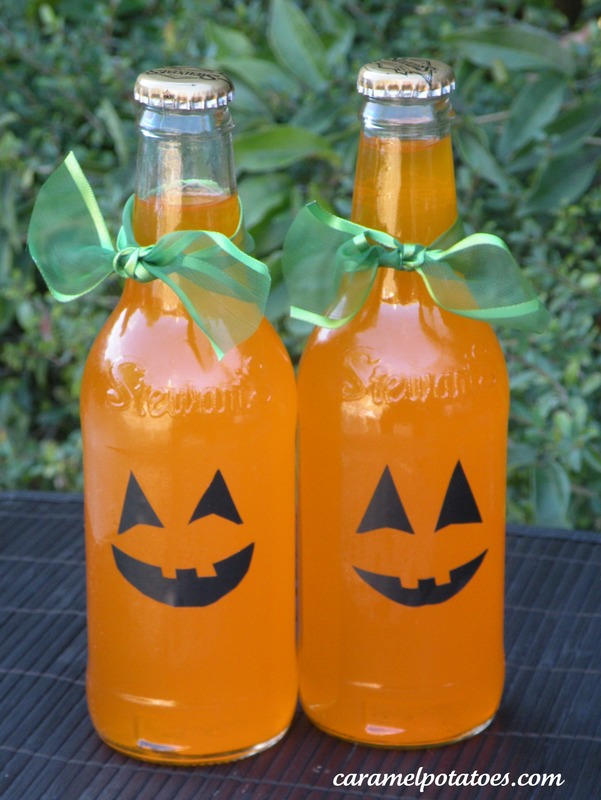 Here’s some fun ideas in case you need some last-minute inspiration! Have a fun and safe Halloween! Remove the labels with hot water and goof-off. Cut pumpkin face with black electrical tape and adhere. Add a ribbon and this will put a smile on anyone’s face! Such a cute idea from Southern Vogue! 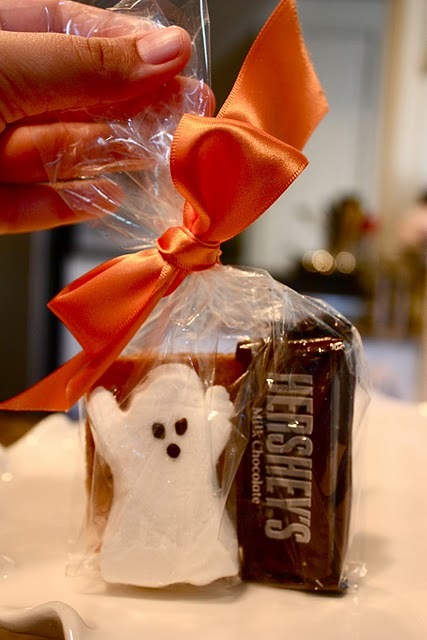 Just add 1 graham cracker broken in two, 2 fun-size Hershey bars and one ghost peep! Hot Chocolate that will warm your heart! 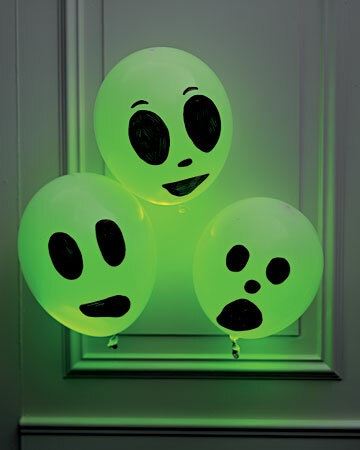 Use edible markers to make ghost faces – won’t your kids just love it! (Markers available at Wal Mart or Craft Stores with the Wilton Cake Decorating Supplies). 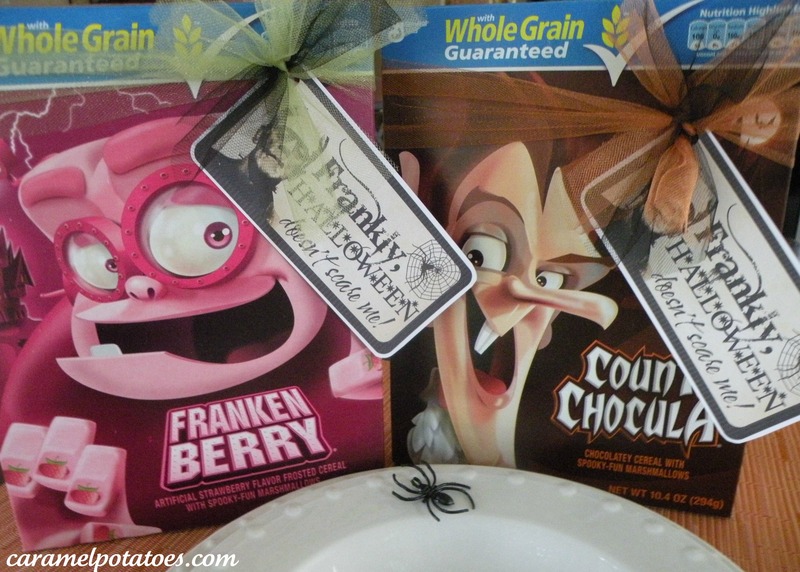 Give your kid’s their own monster box of cereal – these old-time favorites are perfect! (available at Target) We’ve included this adorable gift tag! 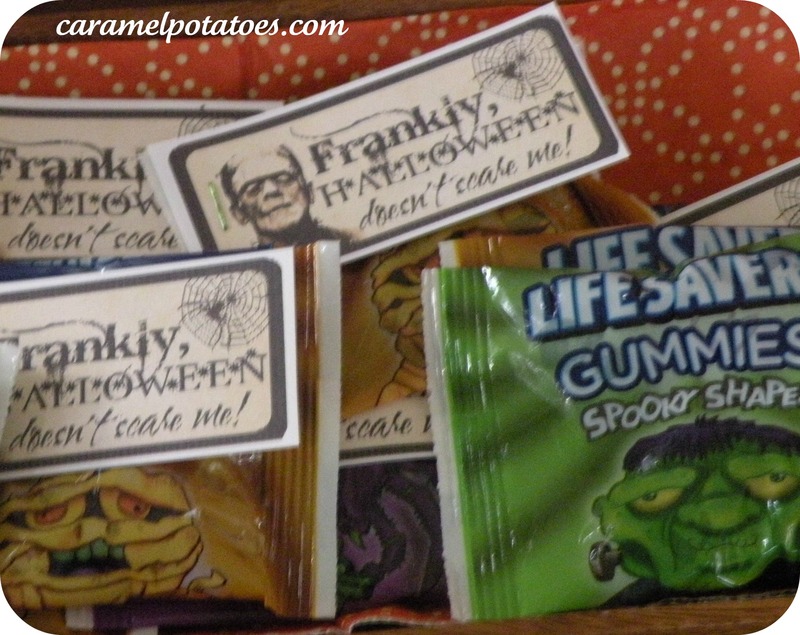 Bonus: Small gift tag works for individual size handouts! 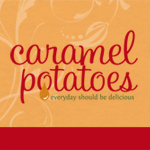 HaPpY HaLloWeeN from Caramel Potatoes! Thanks so much for stopping by my blog and following! I LOVE your blog, as well! So many great ideas and recipes to try! Glad you found me; and happily following you back! Many blessings to you! !